Sadly, the real world has lots of limits. There is a finite limit on how much food a stomach can actually hold, for instance — regardless of how many large mammals one may contemplate devouring in the interminable hours between breakfast and lunch. But while your stomach lining may have limits, you can still potentially eliminate some limits from other areas of your life, including your wallet. With many flexible spending credit cards, you can swipe as though you have no limits (provided you can pay the bill, of course). In general, the credit limit you are given for a specific credit card will be based on several risk factors important to the issuer, including your credit score and income, as well as the card’s intended demographic. For example, credit cards aimed at poor-credit applicants tend to have low maximum credit limits regardless of the applicant’s credit score. Similarly, credit cards targeting prime or super-prime consumers who have proven themselves to be low-risk cardholders — i.e., they have high credit scores and long credit histories — usually offer much higher credit limits overall. It’s these low-risk consumers who are most likely to be approved for a flexible spending credit card without limits — well, kind of without limits. Yes, “kind of.” Even for the high rollers with an infamous Black Card (Centurion® Card from American Express) in their wallets, there really aren’t credit cards without any credit limits at all. That said, there are a variety of flexible spending credit cards, also referred to as NPSL (no pre-set limit) credit cards, that offer the next best thing — credit cards without set limits — some of which are even available to regular consumers. 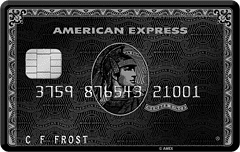 The Centurion® Card from American Express is an extreme example of an NPSL credit card with a variable credit limit. There are two main formats followed by flexible spending credit cards. The Centurion® Card is a good example of the less common of the two types, which is the NPSL credit card that doesn’t have a consistent, set credit limit. Instead, credit limits for these cardholders are catered to the specific individual and may vary each billing cycle based on a regular evaluation of their credit profiles and financial situations. As a result, these cards can have credit limits that may as well be limitless. The more attainable form of flexible spending cards will have a predetermined limit, but it’s more of a soft credit limit. That is to say, you may be granted a set limit, but you’ll have the ability to go over that limit — to a reasonable extent. For example, if you have a flexible spending credit card with a $10,000 credit limit, you could potentially make $11,000 in charges without the charge being rejected or incurring an over-limit fee. While many may like the idea of being able to purchase without worrying about a pesky credit limit, flexible spending credit cards can have their downsides. For one thing, many cards that allow you to go past your spending limit without a fee will require you to pay off any excess charges before the end of the billing cycle. Additionally, while variable credit limits can mean an increase when things are going well, they can also mean a decrease when something goes wrong. Another factor to consider is that most NPSL credit cards won’t report the same way on your credit reports as regular revolving credit lines. In many cases, flexible spending credit cards are reported as such, sometimes appearing in the “Other Debt” section of your report. Plus, with no pre-set spending limit, the credit line associated with an NPSL card won’t help your credit utilization (though this also means a high balance on these cards may not hurt your score). Although you’ll need six-figure spending habits — and, likely, a personal invitation — to obtain some of the more exclusive NPSL credit cards, like the Centurion Black card, you can still get flexible spending limits with a more accessible consumer card. But while you won’t need to be a millionaire to qualify for these cards, you’ll still need at least excellent credit for the best chances of your application being approved. Now, on to the cards. It seems that most (if not all) Visa Signature® credit cards, and many World Elite Mastercard® credit cards, are available with flexible spending limits. 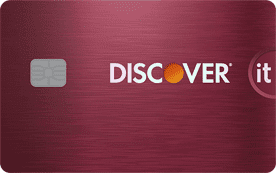 While these upper-tier card types include a variety of awesome credit cards from which to choose, some of our favorites are listed below. While these cards frequently offer flexible spending limits, you should keep in mind that the terms regarding an individual cardholder’s credit limit (or lack thereof) will likely vary by card and applicant. However, in the case of Visa Signature cards, you’re reportedly guaranteed to have at least a minimum credit limit of $5,000 if you are approved for the card. If you currently have — or are looking to obtain — a card that typically offers a flexible credit limit, but you don’t want a flexible limit, you may be able to decline the option in favor of a traditional hard credit limit. Be aware that you may not be able to reverse the decision if you choose to forgo a flexible limit. Additionally, this option may not be available for all flexible spending cards, so check with your specific issuer. 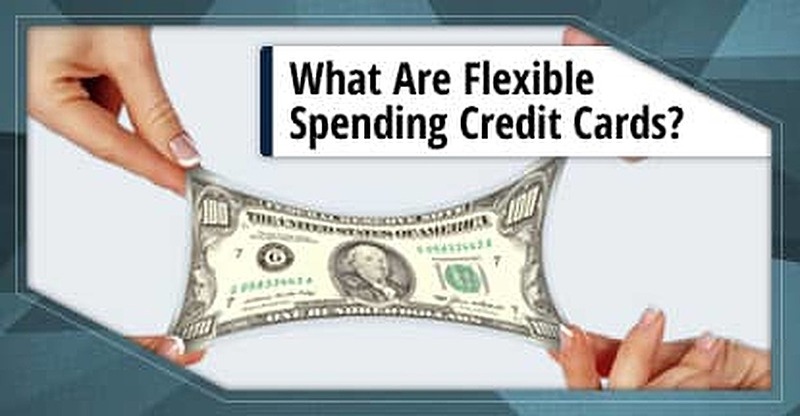 Despite the fact that flexible spending credit cards may not provide a reliable way to lower your utilization rate by increasing your available credit, those with the excellent credit typically required to obtain these cards may not care about that potential drawback. Since many top rewards cards offer flexible spending options, it can make sense to look into these cards for many consumers. At the same time, some people may want (or, perhaps, need) to have that additional credit counting toward their utilization, and still others simply don’t want a variable credit limit. A large number of great rewards credit cards are available to those with good credit that have regular, set credit limits that will report correctly to the bureaus. Some of our top-rated picks are below. While the credit limit on NPSL credit cards can raise and lower on a regular, even monthly basis, the credit limit on your regular credit card will generally remain the same from month to month. 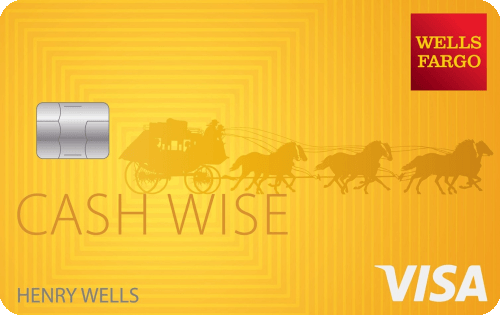 However, this doesn’t mean that your credit limit can’t or won’t ever change — for better or for worse. In fact, your card issuer has the right to raise or lower your credit limit at any given time, for any reason. Most credit card issuers will periodically assess your account and credit reports to see if your current credit limit is appropriate, and they may adjust your limit accordingly by either raising or lowering your credit limit. For example, if your credit score has increased significantly over the last six months, your credit limit may increase. Conversely, risky credit behavior, such as a late payment or too many new accounts, may cause a credit card issuer to lower your credit limit. A life without limits likely sounds appealing to many people — but it’s just as likely a bad idea for most of us. As anyone who has ever over-indulged on an all-you-can-eat buffet can probably tell you, just because you can do something, doesn’t mean you should do it. Sometimes limits are a good thing. The same thing applies to credit cards. That’s because “no limits” doesn’t mean “no consequences.” Every penny you charge on your credit card will need to be repaid, regardless of how flexible your credit limit may be. And unless you’re enjoying an introductory 0% APR offer on your credit card, those pennies will soon start multiplying thanks to double-digit interest rates. Finally, no matter how high or flexible your credit limit is, it’s never a good idea to carry a high balance on a credit card, particularly one that approaches your limit. With regular credit cards, a balance close to your credit limit — or, worse, a maxed out credit card — can drop your credit score significantly. And while flexible spending credit cards generally don’t report the same way as fixed-limit cards, any debt accrued on that card will still be reported to the credit bureaus. High levels of debt, of any type, can impact your overall debt-to-income ratio, potentially lowering your credit score and affecting your ability to qualify for additional credit.